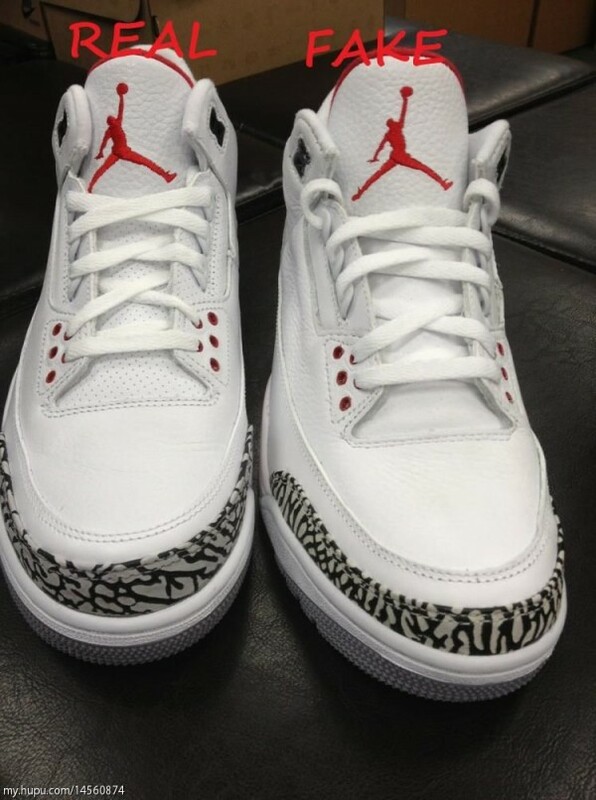 Nowadays, for every release there is a fake to follow, and here is a look at the Air Jordan 3 Retro ’88 Authentic vs. Fake Comparison. By the look of an average person they almost seem identical right, but for #sneakerheads let’s point out some flaws. Starting off with the oddly shape compared to the authentic, along with no perforating on the lace panel and tongue, the Jumpman logo is a little off (to be nice) and the stitching on the upper Black lace-lock is sloppy.